This Friday we look forward to welcoming Julian Hellaby on piano to the Cathedral. Julian Hellaby PhD, MMus, BMus, LRAM, ARAM studied piano with the distinguished pianist Denis Matthews and later at London’s Royal Academy of Music. He has performed as solo pianist, concerto soloist, accompanist and chamber musician in continental Europe, the Middle East, South Africa and throughout the UK, including recitals in the Wigmore Hall and Purcell Room. More recent two-piano work with pianist Peter Noke has featured performances across the UK, and in Hong Kong and China. Julian is an ABRSM examiner, moderator and public presenter, as well as a former mentor for the ABRSM’s Certificate of Teaching course. 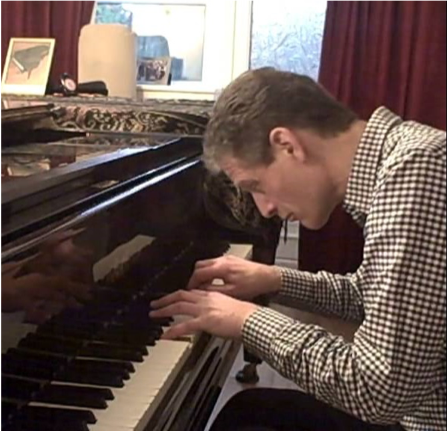 He has taught academic music at Coventry University and London College of Music, and also has extensive experience of piano teaching at all levels. He has released several CDs for the ASC and MSV labels, and his book Reading Musical Interpretation was published by Ashgate in 2009. His second book, on English pianism, will be published by Routledge in May 2018. Lunchtime recital admission is free and there is a collection during the recital.